Summer camp with a creative and innovative arts-based program including drawing, painting and so much more. Our one of a kind 26,000 sq ft indoor training space and top notch coaching staff offers a unique opportunity for each child to learn and hone their game. HORSES! HORSES! HORSES! Spend your Summer Days riding, grooming and learning to take care of happy, friendly Horses and all only minutes from your backyard! A baseball camp, in a fun atmosphere, within a state-of-the-art indoor facility. Pitching machines, batting tunnels, MLB 2K16 tournaments,we got it all! Fun, safe environment. A great tennis camp in the heart of Scarborough Bluffs. Play, Learn, Grow. Take your child’s LEGO® experience to the next level with this engaging class that offers all the fun and learning of our popular technic building classes, plus the challenge of computer programming! Cardinal Golf Club takes great pride in offering the finest junior golf camp experience around and is perfect for junior golfers of all levels from ages 8-15. Learn the basics of golf in an exciting and fun way! A combined fun and educational camp for Christmas, PD Days and Summer. New space with access to safe outdoor playgrounds, field trips,music,science and more.We provide morning snack, lunch and afternoon snack.Book EARLY! Bishops Gate Golf Academy provides junior golfers with a plan and strategy to get better. Campers receive individualized fitness, mental and technical training techniques to continue improving their game. For those students who are longing for something artistic, creative, relaxing, therapeutic, productive, confidence building. Courses with skilled instructors who are working artists. This Halton Region day camp offers traditional and specialty programs including biking, waterfront, raptor, girls only, and LIT/CIT. Options for kids ages 4 - 15. Stay on Top of Your Game with IJGA Golf Summer Camp! IJGA offers coed, summer boarding and day golf camps for the novice to elite level athlete ages 8-19. Choose from Core or Elite Camp Programs. Foster the Golfing Spirit! Your son or daughter can belong to a golf club where they will provided ample opportunity to play and learn with golfers of their own age. This week-long day camp offers visits to different houses of worship and an engaging program that will build friendships and understanding across diverse cultures and faiths. 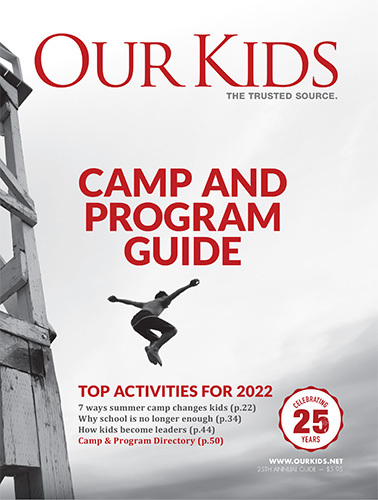 Day camps are the quintessence of summer camp in Canada and the US. A day away from home with friends, enjoying the outdoors, friendship, laughter and camp activities ought to be part of every childhood. Our Kids Go To Camp has been covering the world of day camps and summer camps for over a decade. We list day camps from throughout Ontario, Quebec, BC, and numerous other provinces and northern United States including New York, Massachusetts, Connecticut and others. Day camps are ideal for busy families where parents work but do not want to spend a week (or several weeks) apart from their child. It's nice to get a daily update from your child as he or she grows and learns from the summer camp experience. There are a variety of activities offered at day camps, including arts and crafts, sports and many other daily activities. Camps often focus on a specific area. This might be a sport like horseback riding, soccer, paintball, hockey, baseball or volleyball. There are also day camps that focus on science, technology or computers and there are many very interesting day camps put on by museums or galleries. it allows children to "dip into" activities with less of a commitment. camp allows them to learn and grow in ways that no other summer activiity can. Day camps are especially ideal for young children, where a family might want to expand the child's experience beyond that offered by regular day care.